This is my First Guest Post on Code 2 Learn. and my personal Blog is DailyTechTips for SEO and Wordpress Stuff. No Doubt Facebook is the best Social Networking Site. It gets Millions of Daily Visits, so if seen from a Blogging eye, it can get tons of traffic to your Blog. Many use Facebook for Marketing and the results they reveal are too awesome. So just think to get huge traffic from Facebook. Getting Traffic from Facebook is not Easy. You have to make a clear plan and have to seriously follow it. 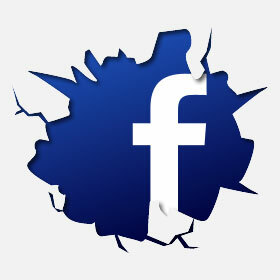 Due to huge Facebook Traffic, you should try to drove that traffic to your Blog. Creating a Attractive Profile is the first step towards getting traffic to your blog. Display your Blog URL and Description in your Profile. This will let others know that you are a Blogger and then they will surely land to your blog to see your work. So, this will be the first step to get traffic from Facebook. This is the second and the most Important step to get traffic from Facebook. Add good number of blogging friends to your profile. This will increase your Blogging Friends List and then you can share your posts with them, as a blogger they will tend to visit your Blog. You can also create a good relation with them, so as to make them your Regular Reader.This will get Traffic from Facebook towards your Blog. Remember this step is 100% important and it works well for me. This is the third step to be followed to get traffic from Facebook.If you haven't then you must create a fan page for your blog. Then start sharing your posts in your fan page. Viewers will see your shared Links and they will successfully land to your Blog. But to get Traffic from Facebook Pages, you must have 1000's of page Likes. so first try to gain good Page Likes for your blog and then look for Traffic. Suggestion: You may exchange likes with your Blogging Friends, as it will be advantageous for both of you. If you use Facebook, you might have seen banner Ads of Brands, Company or Services etc on the Sidebar with the Like Button. You can also display your Blog Banner Ads by paying few Dollars. This displaying of your Blog Ads will gain you huge likes and exposure. This step will easily gain you traffic to your Blog, but you have to pay few Dollars. But I think its worth Paying. 5. Create Fake Accounts- I dont know what this point will leave my Impression on your Side. But Creating Bunch of Fake Accounts helps in getting traffic from Facebook. Most of the Bloggers(including me) says that creating Fake Accounts gets them Satisfactory Traffic. You can start sharing your posts in Fake Accounts as mentioned in point 2. This will help to get Traffic from Facebook. I followed these basic steps to improve my Traffic in many of my Blogs, and the results were Satisfactory. Share your best method with us to gain Traffic from Facebook? Also If you found the Post Usefull, then share it with your Friends.